Real Estate License: Is Real Estate Right For You? Have you ever contemplated a career in real estate? 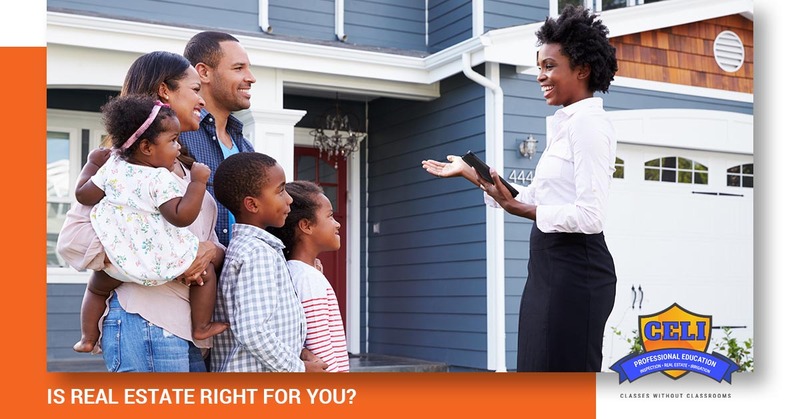 Do you dream of helping people find the perfect home for their family? If this sounds like you, then we hope you enjoy today’s post as we discuss why real estate may be right for you. Continuing Education For Licensing wants to provide the information and advice you need to make the right choice, so be sure to contact us and let us help. Continuing education courses are important because these classes provide the framework you need to stay current with your certifications, state-mandated education hours, and your individual designations. 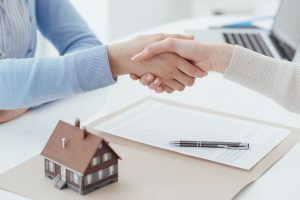 If you decide to become a real estate agent, our classes can help further your reputation as a professional with exceptional knowledge and experience in the real estate industry, which will encourage buyers and sellers to more fully trust you. Many real estate agents function as independent contractors, which means that they can set their own hours, develop their own client and referral bases, as well as decide how they want to market themselves. Given that you can begin your real estate licensing courses, take the exam and receive your license within three to four months, being in charge of your destiny is an excellent reason to consider a real estate career. As the boss, you are free to determine when and how long your vacations will be. You won’t need to worry about staying within your yearly paid-time-off allowance or letting your coworkers pick up the slack when you are in charge of your business. It is your real estate business and your time, so be sure to take time and enjoy a break when you need one. As the boss, you worked hard to build your client base, network, and reputation, so be sure to enjoy the perks of being in business for yourself! You already know that a successful career in real estate means that you will need to develop or further hone strong people skills in order to deliver the best customer service possible. When you consistently go above and beyond for your clients, you will reap the rewards. People don’t typically buy a home and stay put for the next 20 years. Our society is an active one where jobs, family, and other factors cause people to move fairly frequently. This means that if you have satisfied clients, they are very likely to choose you as their real estate agent the next time they need to buy or sell a home. Some people want to develop a real estate empire while others are satisfied with having a much smaller business. No matter where you are on this scale, real estate offers you the chance to grow your business as large as you would like. There really are no limits in the real estate industry, which means that if you have a positive attitude and work ethic, you can achieve phenomenal results. If you’re not sure right now how large you want your business to be, don’t worry, as this is something you can determine as you go along. It doesn’t require a large investment of time or money to enter the real estate business, which is part of what attracts so many people. While there is a low bar to entry, you to keep in mind that real estate is not easy money. You will need to put in the time and effort to grow your business so that it can be successful. Like most good things in life, the benefits will come if you are patient and dedicated to growing your business the right way. When you’re ready, we are here to help! Real estate can be a very rewarding career for a number of reasons. If you are trying to determine whether it is right for you, we hope that the reasons we listed help you in your decision-making process. If you have questions about the number of courses you need to take, or the available exam schedule, then be sure to call Continuing Education for Licensing and let us help you choose the right courses for your needs.